I've been noticing a really big trend of The Elf on the Shelf pins on Pinterest lately! I actually had no clue about this super cute book and Christmas tradition, but now that I've done a little research I'm so in love with the idea. "It's one of the rare products that lives up to the hype. The book and doll kit launches a new look at the whole Santa mystery. How does he know they've been naughty? Because the little elf perched on your shelf by day flies to the North Pole by night to make his report. 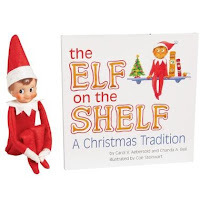 The Elf on the Shelf book lays out the story, and makes a game of the sometimes daunting task of getting them to behave. It all starts with a name - which is up to them to decide. We went through a long list: Little Bo Peep, Hippo, Movies - a 3-year-old's imagination isn't limited to silly naming conventions - before settling on Tree Branch. Marked in the special spot in the back of the Elf on the Shelf book, the names they come up with in their younger days will no doubt come back to mystify as much as their current Santa debate. The newly named elf takes up residence in a spot in your house - only to take off at night to see the Jolly Old Man up at the pole. When he flies home, he'll find a new spot. And it's up to your kids to find him, making waking up in the build up to the holiday almost as exciting as the big day itself." Doesn’t this sound like so much fun! So this year we are going to start this tradition with JD. Starting December 1st until Christmas day stay tuned for JD's mischievous elf's adventures! 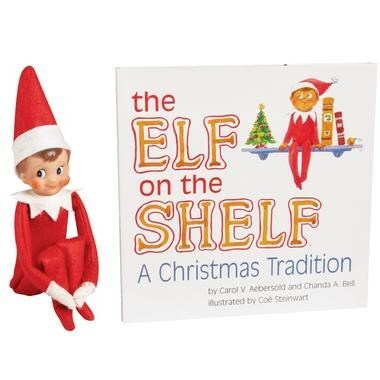 You can purchase your elf kit at The Elf on the Shelf, you can also check with your local Hallmark for availability. If any one else is participating in this tradition this year and would like to link-up please contact me! 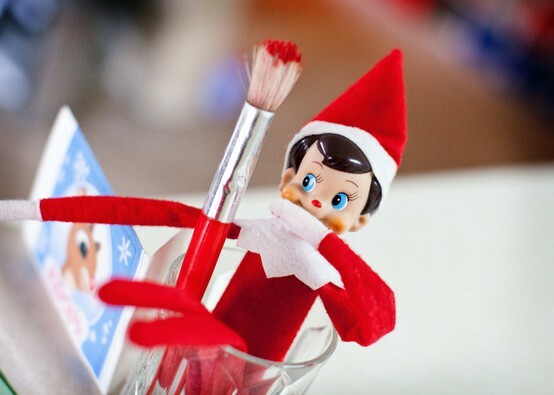 For more fun The Elf on the Shelf pictures and ideas, visit my Pinterest!